Redesign your restroom starting with this Bellaterra Home Jerez Vanity. This vanity features a modern style, adding a contemporary element to your bathroom decor. It has a floating design, making it easier to keep your bathroom floors clean. Designed with a wooden build, it provides a timeless and classic look. It has a rectangular integrated sink, attaching to the countertop which makes cleaning much easier. 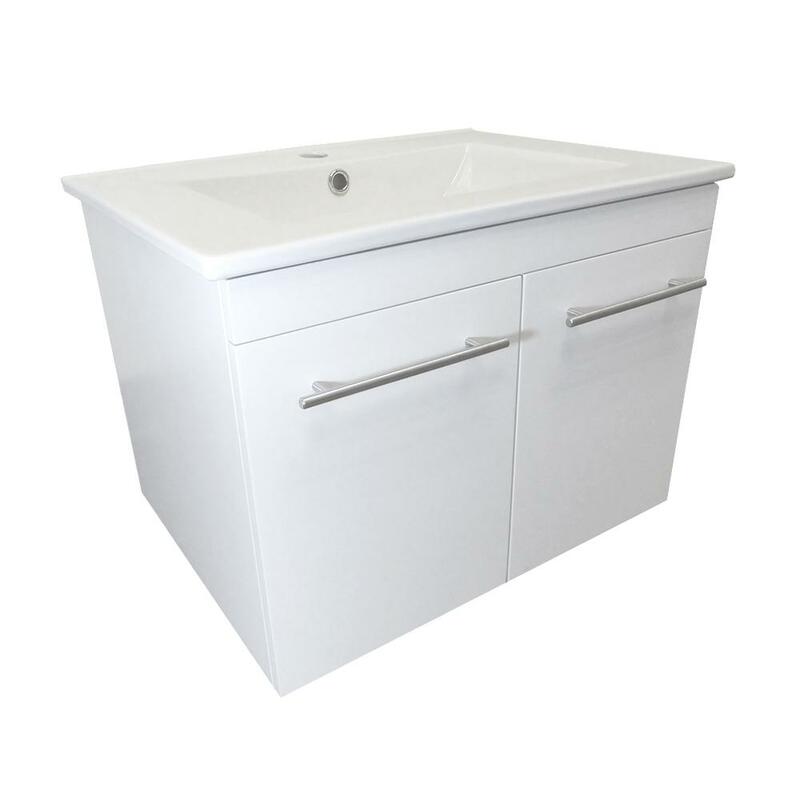 With a white vitreous china build, its sink is extremely durable. Vanity Top Thickness: 1.3 in.